Miss Peaches promises soul food, and that’s what we went seeking on a chilly Wednesday night. 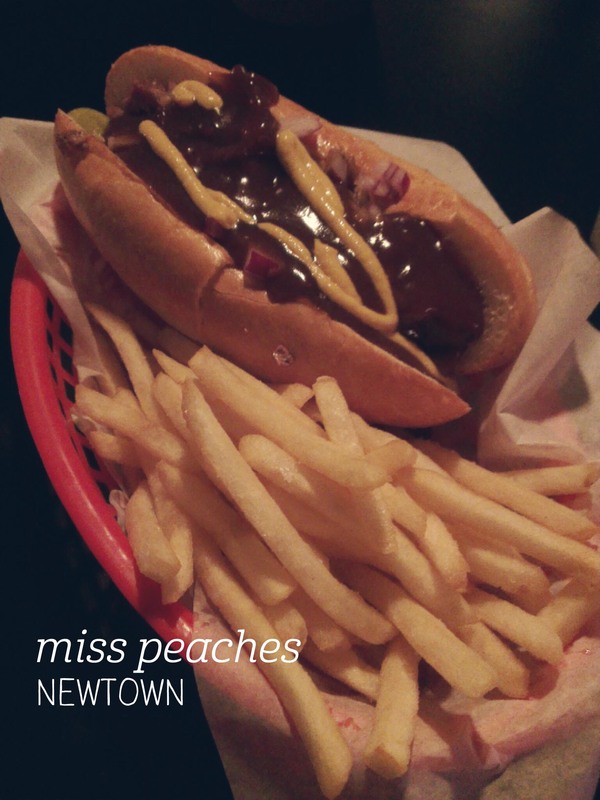 Bringing Southern American to Newtown, Miss Peaches takes up the space formerly occupied by the Marly Bar. 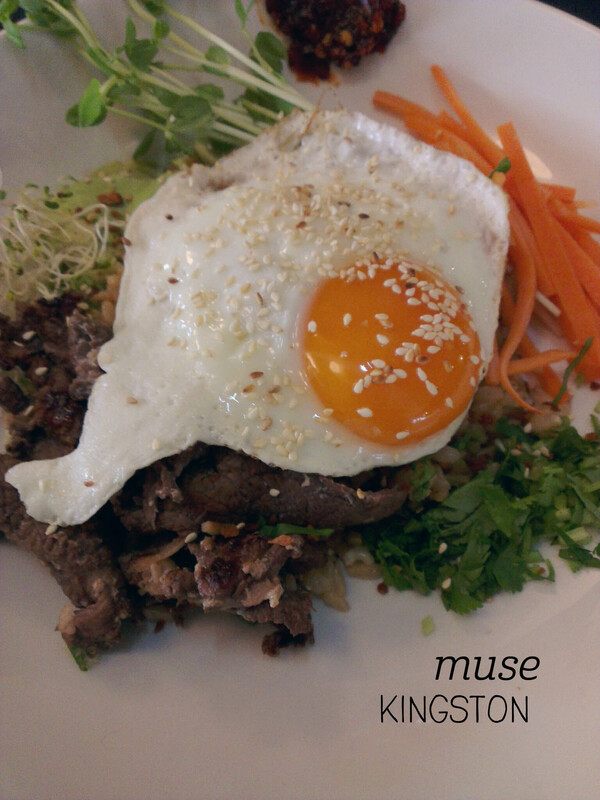 We arrived as they opened, and snagged a table overlooking the street, after admiring the art in the hallway. 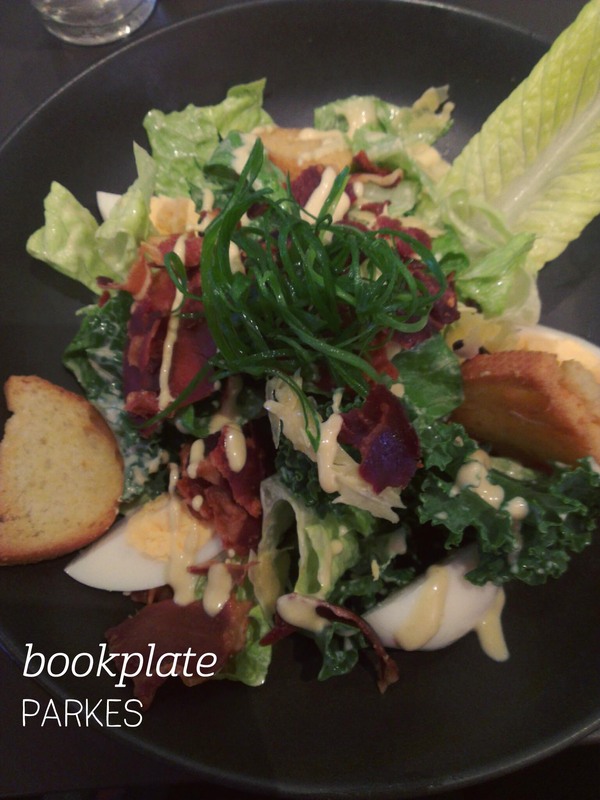 Their cocktail list sounds fantastic (will have to go back for that), but we got right into the food. I ordered the smoked brisket po’boy, which comes with onions, pickles, mustard and gravy, as well as a serve of fries. The po’boy itself was a good size, and was packed with thickly-shredded brisket doused in gravy. Mmm. I am a huge fan of pickles and there was a very generous amount in the roll, which was light and just the right thickness. It’s not an elegant meal to eat, but dipping the fries into the gravy was particularly satisfying and delicious. Dad tried the gumbo – it was very spicy, but had a great complex flavour that I would probably have enjoyed more with a touch less spice. We were there very early, but I can imagine a really great atmosphere with some live music on a weekend. Soul food? Fo’ sho’. 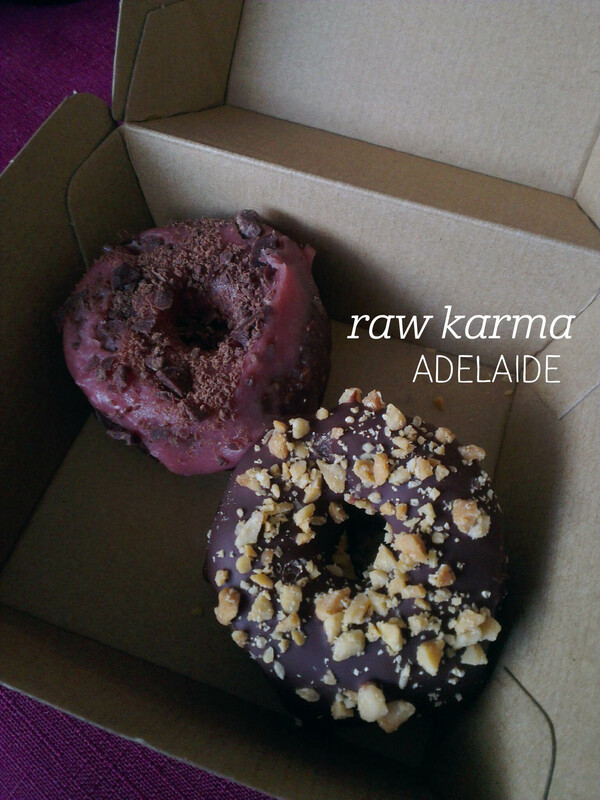 Ladies and gentlemen of Canberra, how is it that none of you have told me about this place before?! Oh my! 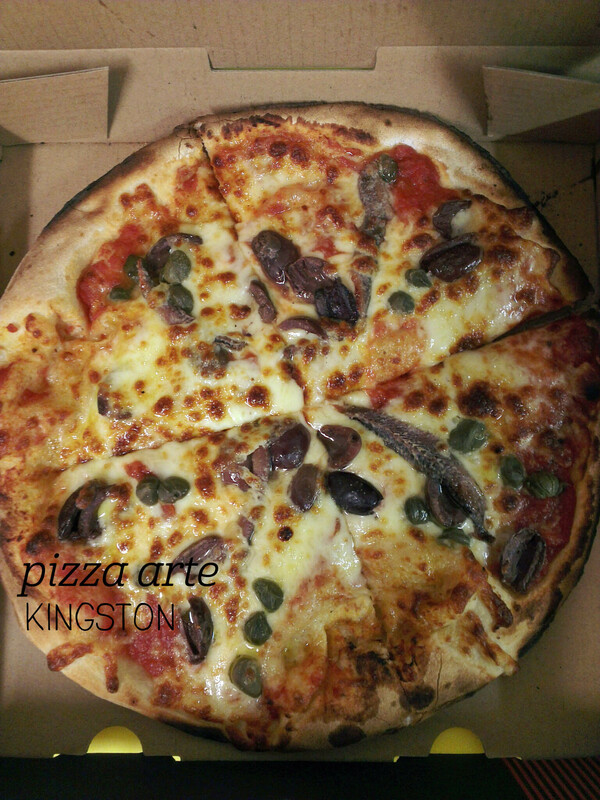 I was feeling very lazy on a Friday night and driving through Kingston, I decided to treat myself to pizza for dinner – I saw the sign for Pizza Arte and went in, keen to try something different. Pizza Arte dishes up woodfired pizzas that are cooked while you wait (if you didn’t order ahead, like me) – and cooked fast. I ordered a small ($13) Marinara, and sat there for less than 10 minutes before my pizza was ready. Wow. I took it home to devour, and devour it I did! The base was lovely and thin, and had a beautiful smoky charring around the edges, making it nice and crisp. The toppings were perfection – kalamata olives, capers and anchovies – all incredibly tasty (and salty), and in authentic Italian proportions (i.e. just enough). What really surprised me was the huge flavour packed into the tomato base sauce – wow. I noticed that they sell jars of it, so on my next Friday night pizza run, I’ll definitely snap one up to try. Serious pizza love. 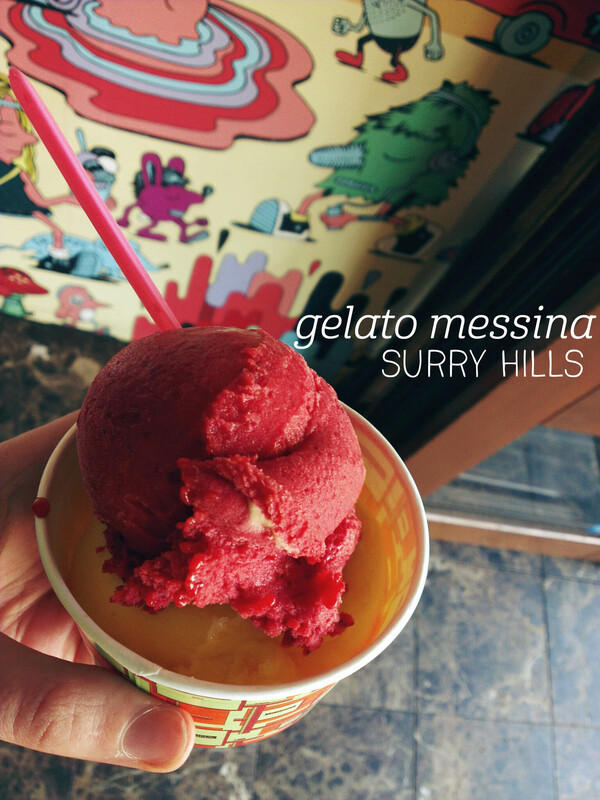 A perfect spring day really does call for icecream, so we stopped in at Gelato Messina in Surry Hills. I love the vibrant colours and huge spheres of icecream in the display cabinet at Messina stores, and this one was no exception. The sorbets at the entrance caught my eye and I ordered a cup of the raspberry and mandarin sorbets ($6.80 for two scoops). The bottom scoop of mandarin was a bit bigger than the top scoop of raspberry, but the whole serving together was massive and I took my time enjoying it at the park across the road. I won’t talk too much about texture, because by the time I crossed the road the sun had started melting the edges and it went downhill from there (as to be expected), but the flavours were fantastic. The raspberry had a particularly intense flavour that is probably the most concentrated pure raspberry flavoured sorbet I’ve tried. The balance betwen tartness and sweetness was just right. 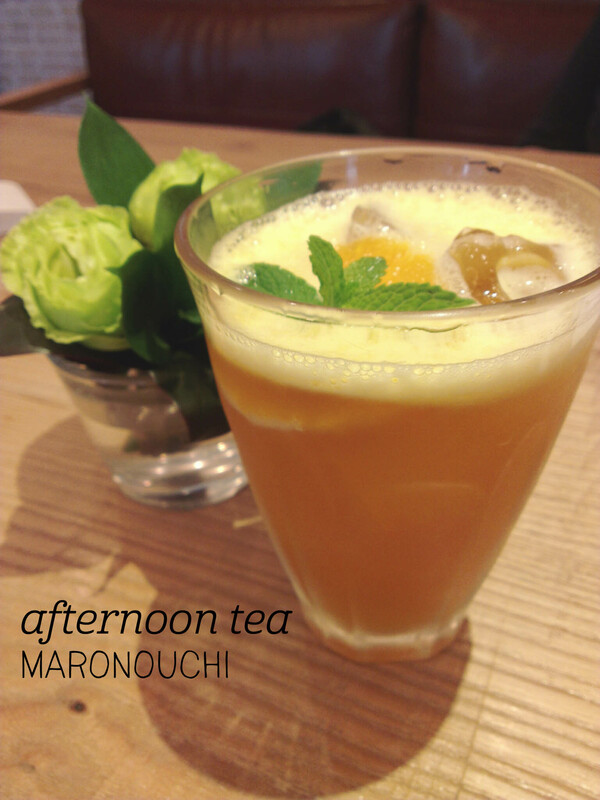 The mandarin flavour was equally lovely – it was really juicy and whilst not as intense, it was beautifully refreshing and had real clarity of flavour. Ah Messina, you never fail to impress.